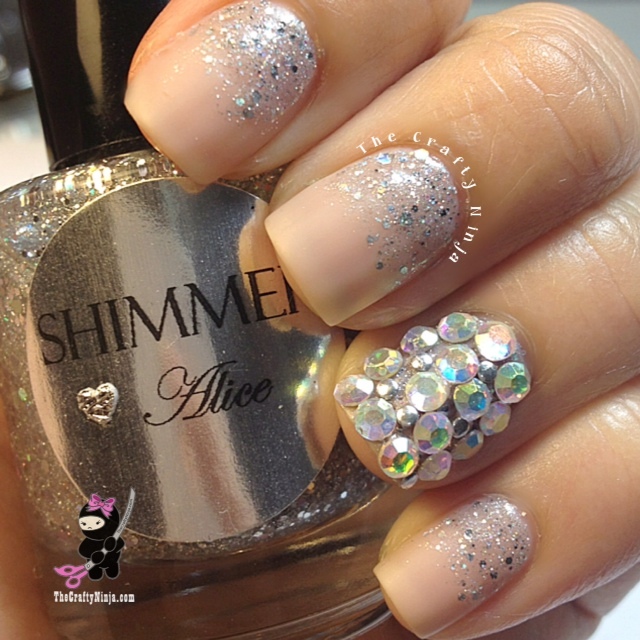 I love sparkle and shine! Today’s nail tutorial is inspired by the beautiful wedding season and prom season. The time to be glamorous and have finger nails to match. I created a Matte and Glitter contrast to make the glitter stand out more. 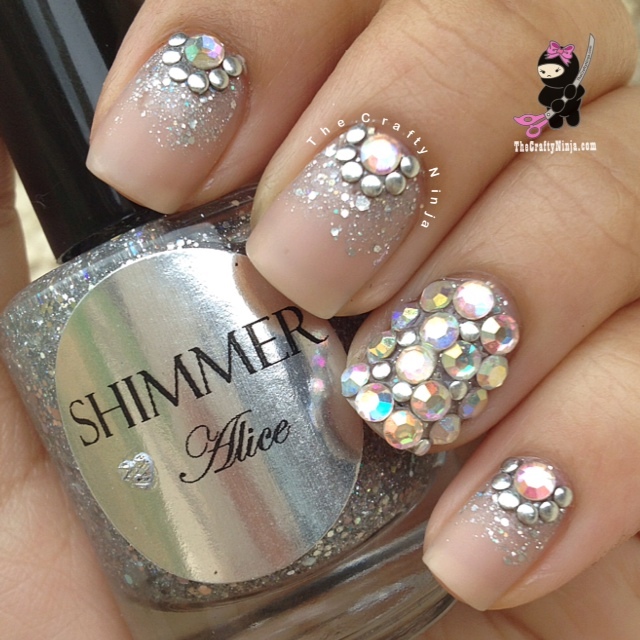 For the reverse glitter gradient I used Shimmer Polish Alice, which is an indie glitter polish, and the accent finger I used Swarovski Crystals and Nail Studs, from the bornprettystore.com, use coupon code: TCHW10 to receive 10% off you entire order. The supplies I used: Essie Au Natural, Essie Matte About You, Shimmer Polish Alice, Swarovski Crystal, 1.55 mm Nail Studs, Nail Glue, Bent Tweezers, and Seche Vite Top Coat. I create a half moon design with studs and swarovski to add more sparkle and bling!